Prayer is the most powerful asset that the believer has in his spiritual life. Prayer is an awesome privilege that brings every believer immediately into the throne room of God, into the presence of the Creator of Heaven and earth and all that is in them. 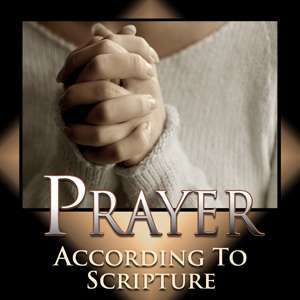 Prayer is the believer’s vital communication link to his heavenly Father. Yet, for all that, very few believers are engaged in real biblical praying. Prayer is one of the most misunderstood and often most abused aspect of the Christian life. On the one hand we find that many believers either neglect prayer or it is trivialized as a tool used to manipulate God, to somehow enter into a contract with God, to bargain with God, to try to get God to somehow conform His will to our will. The tragic result of this flawed approach to prayer is that most believers have superficial prayer lives at best and they aren’t really sure that prayer does any good. And because of their ignorance that is probably correct. Their prayers often don’t get any higher than the ceiling. As we approach this study there are some goals and objectives that we hope to be accomplished. First of all we are going to delineate exactly what the Bible says about prayer. In the process we are going to separate the sense from the nonsense about prayer. A second thing we want to accomplish is a realization of the incredible power of prayer. We have lost sight of the fact today that when we go to the throne of grace that it is a tremendous tool that God has given us. It gives us awesome power in our spiritual lives. The third thing we will accomplish is to realize that prayer truly does change things. The Scriptures are clear that we have not because we ask not, that there are a multitude of blessings that God has in store for every believer that are contingent upon whether or not we come to God in prayer. Because we don’t, because we neglect prayer, and we are not sure that God answers prayer, the result is that we do not experience those blessings that God has for us. This Special on Prayer was taught by Robert Dean during his candidacy for pastor of Preston City Bible Church in Preston Connecticut.